At Mississauga Volkswagen in Mississauga, we offer the same level of customer service and dedication in our service and maintenance department that you find in our sales department. This is important to mention because a dealership can sometimes change its approach to its customers after they have purchased their vehicle. That doesn’t happen at Mississauga Volkswagen in Mississauga. Everything is in place to ensure your complete satisfaction at Mississauga Volkswagen in Mississauga. 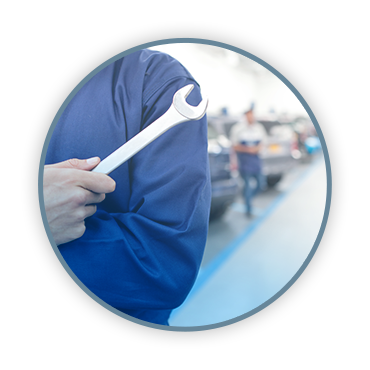 Our maintenance and repair services will be able to maintain the quality, reliability, and resale value of your Volkswagen vehicle while maintaining its performance. At Mississauga Volkswagen, our technicians love Volkswagen products while our technical advisors are passionate about customer service. Together, they offer an incomparable services and repairs experience. Whether you come in for a simple oil change or a complete maintenance, Mississauga Volkswagen is here for you. We know Volkswagen products from top to bottom, and we know how to preserve their quality and performance. In addition, Mississauga Volkswagen offers several services that make your visit to our dealership more enjoyable, such as a modern waiting room and a shuttle service. At Mississauga Volkswagen, you are always treated as a member of the family.